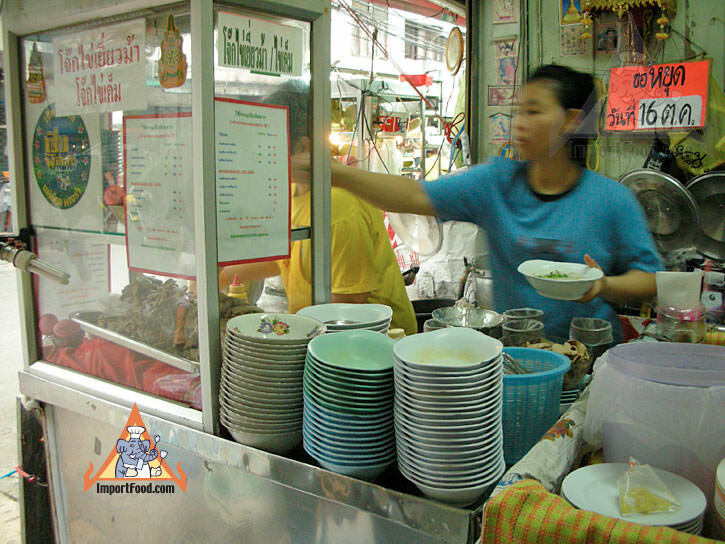 Joke is a Chinese-style rice porridge that everyone seems to love, and they've had strong recommendation by the Bangkok Post newspaper. This shop has specialized in joke for years, and locals in the area keep them busy. The porridge is served with pork, and if you desire, pork entrails (as we ordered it). The little biscuits on top are miniature Thai donuts, and you get nice fresh ginger, spring onion & Thai pepper powder on top. 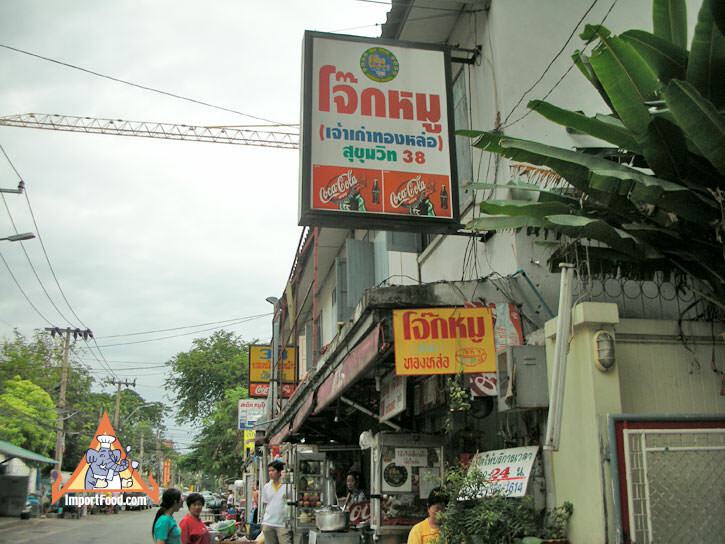 The owner of this shop said that a lot of foreigners order here because the area is home to expatriate residents, but usually only Thai and Chinese order the joke with their speciality add-ons: pork entrails and salted egg. 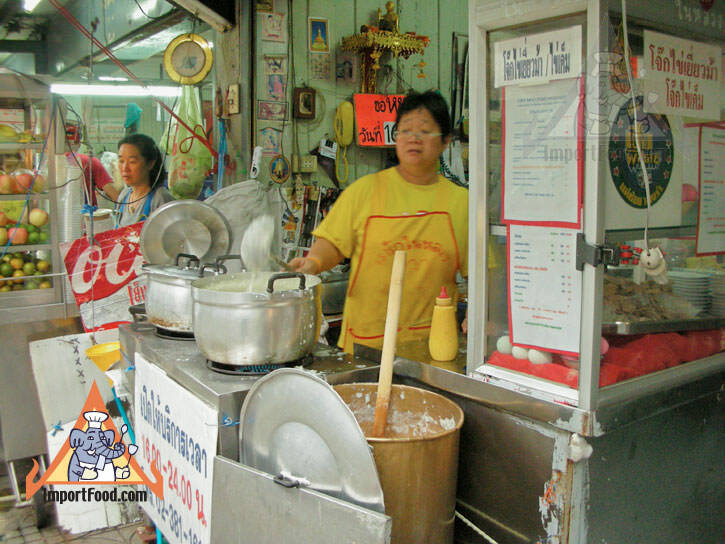 They are famous in the area for offering the best pork, as they use a secret recipe to marinate the pork overnight. Many customers order just the pork each morning then use it to make their own joke. 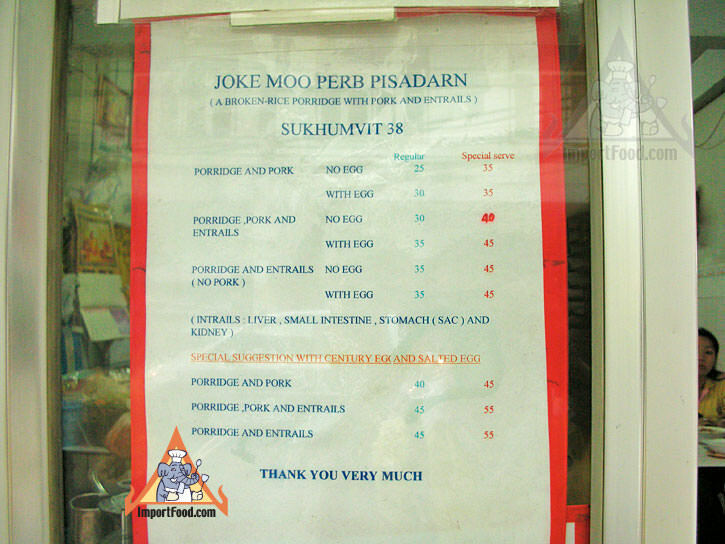 When you order joke, order it with regular egg "sai khai" which is added raw to the boiling soup, or salted egg "sai khai kem" which is a whole egg cut in half. If you order salted egg, chop it up into small pieces, in your soup with your spoon before you eat it. Open daily 4:00 PM until midnight. 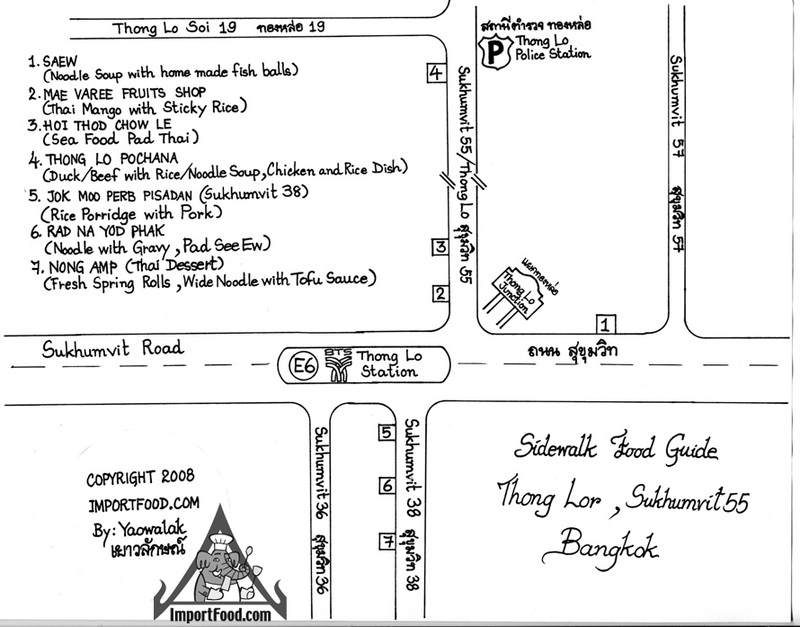 Sukhumvit 38, phone 02-381-1614. To find Joke 38 See our free map! Or Click Here To Download The Free Map in PDF format.